When you travel to Jamaica, you visit one of the world's most well loved Caribbean countries, packed with things to do and see. In most cases, you won't have a lot of difficulty getting into Jamaica as a tourist, but you may need to provide information about where you're staying and the length of your trip. Foreigners who enter the country need to present proper identification, including passports. Many people enter the country through the port of call from cruise ships. In fact, this has become one of the most common destinations in Caribbean cruises. You can also fly into the country using one of the country's two international airports. Numerous airlines come in, with flights arriving in Kingston or Montego Bay. Some arrive from as far away as New York, Paris and beyond. You can find the local embassies in Kingston, Jamaica if you're unsure of what travel information you need to have. When you visit the country, keep in mind that you'll have various travel options, including by car or rail. Most people who are planning to visit only a specific resort or beach area will not need a car rental. However, it's always a good idea to have one so that you can easily get from one location to the next. Remember, too, that there are many things to do in these cities and their outskirts outside of just the beaches. If this is your first trip to Jamaica, especially if you are travelling with kids, one of the first things to do is to avoid overdoing it. Don't over plan your stay. Plan to visit a variety of things to do, from attending a Jamaican folk music performance, to visiting local plantations to checking out the ruins at Port Royal. Go mountain climbing or take a long boat ride along the coastline. The waters are beautiful and well worth enjoying. Listen to a festival or a group playing Jamaica reggae music. You do not have to spend a lot to enjoy this country's wonders. As you plan your vacation to Jamaica, remember that Jamaica travel deals of hotels and resorts are widely available throughout the year. Plan to visit in the spring or the late summer months for the best experiences and smallest crowds. 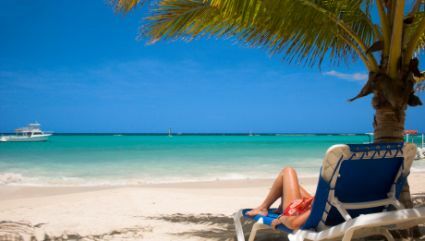 Travel to Jamaica with the expectation to enjoy yourself and relax... and that's just what will happen. Return to Home Page from "Travel to Jamaica"